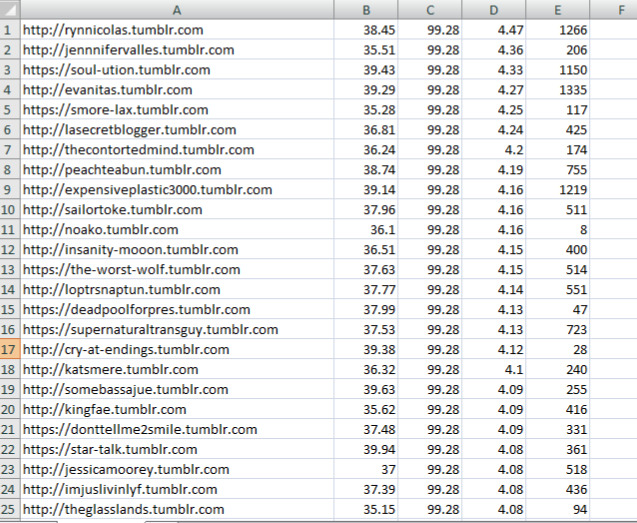 So more people will have a chance to grab some of this expired tumblrs, I made a screenshot. All usernames bellow are available at this time. PA+35. Some have TF as well. You have to register them. Take the username, for example rynnicolas, go to tumblr and register a blog using that. If you want more, let me know by posting bellow. I might add more.